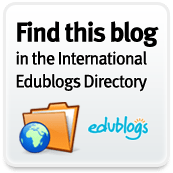 From the always interesting yearinthelifeofanenglishteacher comes what is clearly the best blog post title of 2011: “The zombie apocalypse and its role in the ELT classroom“. I missed the original post in June, only picking up on it via Tyson Seburn’s 11 posts I wish I’d written in December, but it is a truly inspired way of teaching speculative language – mainly focusing on conditional forms – through the medium of you tube “choose your own adventure” style videos. The original post features the Zombie Apocalypse (courtesy of a New Zealand pizza company ad campaign); the time travelling adventures of office-bound Chad, Matt and Rob; and a UK anti-knife crime campaign. This last features incredibly authentic North London dialect – while making the choices will be accessible to all levels – the language from the participants will not! Also worth watching it all the way through (as with all the videos) to check for suitability! That last point is also worth making of all these type adventures, it’s not always necessary for learners to understand everything the characters in the videos say – unless you specifically want to work on listening skills – the choices, as you see from the picture above, are quite clear and these should prompt the discussion, which will in turn probably clarify any areas of confusion relating to the events on screen. Finally – it’s also worth reading through the comments section below the post – some great ideas and further links from the commenters. Glad you liked the post, it was great fun to write. I also gained a lot of useful ideas from the comments that people left, so thanks again to everyone who dropped by and left their thoughts.